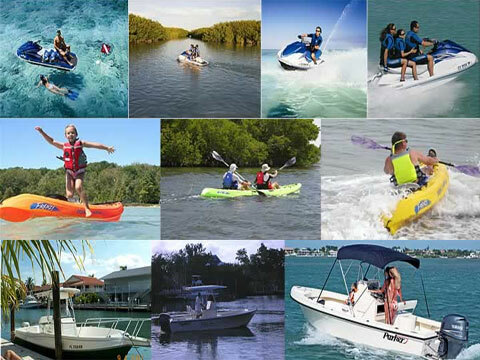 QUALITY BOAT RENTALS: Reasonable pricing for your Vacation Boat Rental needs in the Tropical Boating waters of the Fabulous Florida Keys! Free Delivery in the Middle Keys! YAMAHA WAVERUNNERS: Three passenger waverunners & we donâ€™t limit your ride area! Dive/Swim Flags and anchors provided with rental. KAYAKS: Single or Tandem Kayaks: Dive/Swim Flags and anchors provided with rental.